The first of many conference games are now in the books for the 2018 season with Georgia and Kentucky emerging as victors and South Carolina and Florida being exposed as overrated contenders following the first two weeks of the season. 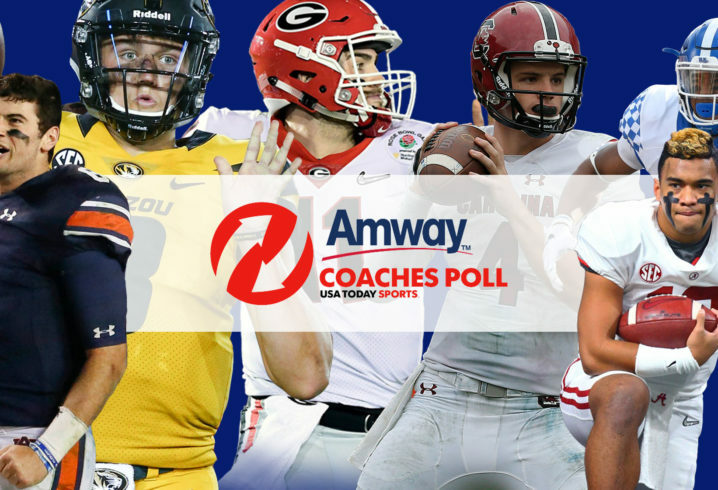 After those results, we have a better idea of how the top 25 should shake out with the release of the Week 3 Coaches Poll. I know it doesn’t matter right now but I still think it’s bs. Georgia destroyed a ranked team at their field. While Clemson got lucky against an unranked team.